This is a year of celebration for the Golden Gophers’ last Big Ten football championship team. Members of the 1967 team were honored a week ago Sunday at the 10th annual Minnesota Football Honors event. In the fall there will be another celebration when the U athletic department honors the old-timers at Minnesota’s opening Big Ten football game in TCF Bank Stadium. 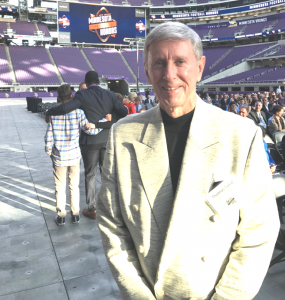 It couldn’t have been more appropriate that on Sunday, May 7 the Minnesota Chapter of the National Football Foundation honored the ’67 group with its annual Murray Warmath Legendary Team Award. Warmath, of course, coached the Gophers for 18 seasons and the 1967 team were his last champions. The Gophers had been 4-5-1 overall and 3-3-1 in Big Ten games in 1966 but there was optimism going into the 1967 season. This was to be the last season of eligibility for a group of seniors who had come to Minnesota as a much hyped freshman class in 1964. Many of the players were from out of state and had been highly recruited including fullback John Williams from Toledo, who was coveted by legendary coach Woody Hayes and Ohio State. 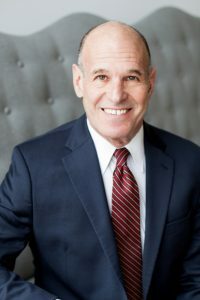 Stein, a St. Louis Park native who also was an All-American in 1968, was part of a formidable defense that held opponents to 12 points per game in 10 games. In the Big Ten it was just 10.6. Minnesota shut out two teams, limited another to three points and three times held opponents to seven. Warmath’s best teams prided themselves on physical football and that usually started with a punishing defensive unit. On the 1967 team was fullback Jim Carter, a tall, muscular and nasty runner from South St. Paul, who also was Stein’s close friend and fraternity brother. The two went head-to-head in pass rushing drills during spring practices and the memories are still vivid. Stein recalled going back to the fraternity house with headaches and in need of rest. During the 1967 season things were more challenging for the offense than the defense. The Gophers just got by Utah in the opening game, winning 13-12. Then came a big opportunity the next Saturday in Lincoln against No. 7 ranked Nebraska. The Gophers played like a national power defensively, but flopped offensively, losing 7-0 in a bitter defeat against a long time nonconference rival. Warmath was enthralled with junior quarterback Ray Stephens, the younger brother of Sandy Stephens. Sandy was Warmath’s All-American quarterback in 1961 and was a big contributor to two Rose Bowl teams. Ray, who was from Uniontown, Pennsylvania, not only had the lineage, but he was also tall, athletic and built like Muhammad Ali. Warmath committed himself to Ray early in the season, including the Nebraska game, but neither Stephens nor the offense achieved consistent early season success. Things changed when in the fifth game of the year Warmath switched running back Curtis Wilson to quarterback. Wilson, a senior from Lawton, Oklahoma, had been a quarterback in his previous seasons at Minnesota and he had a big day in his 1967 debut leading the Gophers to a dominant 21-0 win over a good Michigan State team. After the win against the Spartans, Minnesota was 4-1 overall and 2-0 in the Big Ten with nothing but league games remaining on the schedule. The Gophers increased their Big Ten record to 4-0 with wins over Michigan and Iowa. Then came a trip to Purdue to face a Boilermakers team that was also undefeated in league games, and had only a single conference loss the year before. Minnesota won its last two games of the year, defeating Indiana 33-7 and Wisconsin 21-14. The Gophers finished with a 6-1 Big Ten record, and Purdue and Indiana also had the same record—creating a three-way tie for the conference championship. The Boilermakers went into the last Saturday undefeated in conference games but Indiana upset them to cause a traffic jam in the standings. In the 1960s the Big Ten only sent one team to a bowl game and that game was the Rose Bowl. Indiana received the invite after the Purdue game because the Hoosiers had never been to Pasadena. The Gophers had the frustration of knowing how close they came to packing their bags for California because the Hoosiers almost blew the game against Purdue. A Boilermaker was running for the winning touchdown late in the game when he fumbled near the goal line and the Hoosiers recovered the ball. The Hoosiers had hung on to win 19-14. A Purdue win would have given the Boilers a 7-0 record and the league title, while Indiana would have been 5-2. The 6-1 Gophers would have been sent to the Rose Bowl because Big Ten rules didn’t allow repeat appearances in the famous postseason game and the Boilermakers had played in Pasadena in January of 1967. This was to be the last of Warmath’s great teams. He won the national championship in 1960 and shared the Big Ten title the same year. His 1961 team won the 1962 Rose Bowl. In the fall of 1962 he had perhaps his greatest defensive team ever and the Gophers should have been Big Ten champs but a controversial loss at Wisconsin cost Minnesota the title. The Badgers got the best of some home town officiating in Madison. The 1967 team had no such problem with the Badgers, nor with Michigan or Iowa. Minnesota won all three of its big rivalry games that year and its overall record was 8-2. “This was one hell of a group of athletes,” said Tom Sakal. Sakal, from Aliquippa, Pennsylvania, was team captain, a defensive back and was named Minnesota’s MVP after the season. He talked about his team that was ranked as high as 11th in the country and had players from 15 states. Sakal, Stein, defensive tackle McKinley Boston and John Williams, who had been switched from fullback to offensive tackle, were named first team All-Big Ten. Nose tackle Ed Duren and tight end Charlie Sanders were second team All-Big Ten. Williams became a first round draft choice of the Colts and Sanders earned a place in the Pro Football Hall of Fame after his NFL career with the Lions. Stein said 15 players from the 1967 team were either drafted by NFL teams or invited for tryouts at NFL camps. Sakal said what his teammates have done in their post college life is even more impressive than their football careers. “We’ve got doctors, dentists, attorneys, CEOS, entrepreneurs, business owners,” said Sakal who is a retired executive with Prudential. Sakal and many of his lifelong buddies will be in Minneapolis for a big celebration in a few months that will start with a Friday night gathering on September 29. The next day the former Gophers will sit in TCF Bank Stadium near the signage that recognizes them as 1967 Big Ten champions and they will watch Minnesota play Maryland. Sakal said he and his teammates hope to be on the field when the 2017 Gophers come out of the stadium tunnel to take the field. Let’s hope this year’s team gets an opportunity to brush up against greatness. It’s something that has been missing far too long in Gophers football. A wonderful article that took me back to teams and names I have not talked about in a long time. I vividly remember those games on radio and actually can recall a editorial cartoon in the Sunday Minneapolis paper the day after the very questionable loss to Wisconsin showing the Badgers carrying the officials off the field. Thanks for the memmories ! !